Joe Schmidt, Ireland head coach, has named his strongest possible starting XV ahead of their clash with Italy at the Olympic Stadium on Sunday. Simon Zebo has retained his place at fullback, with Tommy Bowe, who touched down twice against Romania last weekend, and Dave Kearney starting on the wings. 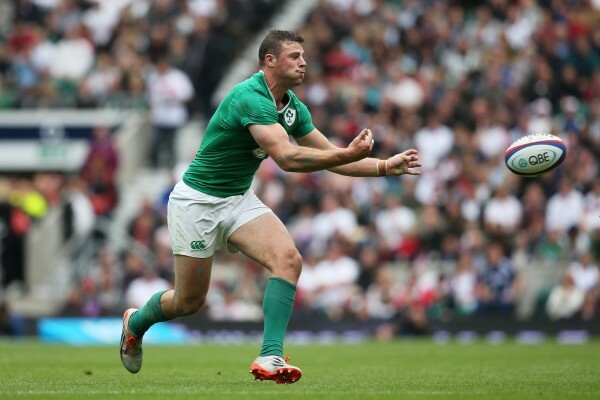 Centre Robbie Henshaw, who missed Ireland’s first two games with a hamstring injury, comes in to make his World Cup bow, partnering Keith Earles in the midfield. Johnny Sexton and Conor Murray both return to the starting line-up to continue their productive half-back partnership after the pair both sat on the bench last time out. Prop Jack McGrath gets the number one jersey ahead of Cian Healy, who is still attempting to get back to full fitness after making his first start since the Six Nations last weekend. McGrath is partnered in the front row by Rory Best and Mike Ross. Iain Henderson and Captain Paul O’Connell make up the second-row with Peter O’Mahony, Sean O’Brien and Jamie Heaslip making up the rest of the Ireland pack. Schmidt though is without Rob Kearney and Jared Payne both left out due to injury. Ireland: S Zebo; T Bowe, K Earls, R Henshaw, D Kearney; J Sexton, C Murray; J McGrath, R Best, M Ross; I Henderson, P O’Connell (capt); P O’Mahony, S O’Brien, J Heaslip.